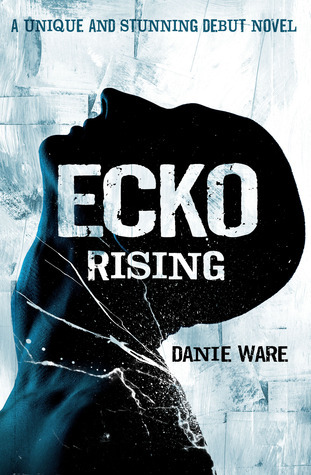 “Ecko Rising” is one difficult book to review. I have mixed feelings about it. On one hand, it was exactly what I expected it to be: a clever blend of high-tech sci-fi and epic fantasy. 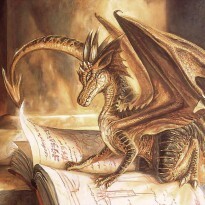 I loved the world-building, and I especially loved the main character – Ecko. On the other hand, though, I found the writing style a bit confusing and jumpy, and it gave me the impression that the writer was trying too hard. Just a tad too hard. But, overall, it was quite a unique experience. Ecko is an assassin and a rebel in a society where people do only what they’re told and are kept under control through drugs and video games. He’s smart, downright badass, and his technologically improved body helps him sneak in anywhere without being seen or even sensed. And that’s why he’s the perfect guy to infiltrate the Pilgrim Pharmaceuticals Research Facility and gather information that would help bring down one of the key-people in the creation of this utopian world that has enslaved everyone. Except… he doesn’t follow the plan and he ends up hanging from a roof, ready to meet his end when he hits the ground. He does fall, but, to his surprise, he wakes up on a comfortable couch, surrounded by strangers who seem to genuinely care about his well-being. His first thought – it has to be some kind of simulated environment. It takes him some time to wrap his mind around the fact that he was thrust into a completely different dimension, in the fantasy world of the Varchinde, where werewolves, centaurs and magic are a common occurrence. Given that science fiction and high fantasy are two of my favorite genres, I enjoyed everything about the worlds Danie Ware created. It’s the first sci-fi/fantasy hybrid I’ve read, and now that I know how entertaining this blend is, it’s not going to be the last. It has fast-paced action, an interesting concept and plot, and the fantasy world is described in enough details to get a vivid image of it. But what I liked most was the main character itself – Ecko. Complex characters and character development are two things that I always look for in a novel. I liked Ecko from the very first time he appeared. I liked how dark and mysterious he was, how he was always in control of the situation, and how he seemed almost invincible thanks to his enhancements. It was obvious that his temper would eventually get him in trouble. When he ends up at The Wanderer, he is in a situation that he cannot control, in a world he doesn’t understand, and with people who continuously surprise him. Eventually, this turns into a journey of self-discovery, and we see Ecko changing from the selfish, self-absorbed man who’d rather be on his own, into someone who starts to care about the people who took him in, and about their world. The only thing I didn’t quite enjoy was some of the writing. I found it a bit jumpy and disjointed, and I lost count of how many “chrissakes” I found per page. Ok, maybe I’m exaggerating a bit, but, for chrissakes, how many “chrissakes” do Ecko and the narrator need to make a point? I have nothing against cuss words, really. But the repetitiveness was beyond annoying. Seriously, Ecko was 100% badass without saying “chrissakes” and “f**k” every 3 words. Not impressed. Other than that, “Ecko Rising” was a good read.